This is my first outfit of the day in about a year and a half! Recently I decided to incorporate more fashion into my blog as it's something I've been getting into a lot more, I have to say taking these photos was a mission! I had to do it on my own, without a remote so focussing was so difficult, I can definitely say I'm a lot more confident behind the camera than in front of it! Hopefully I will get the hand of it more (including posing, I find it very awkward!) 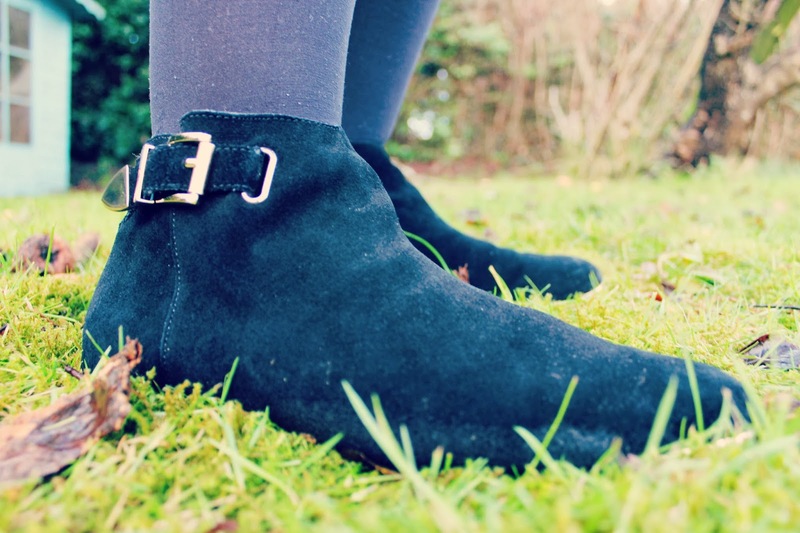 as I do more OOTD's! 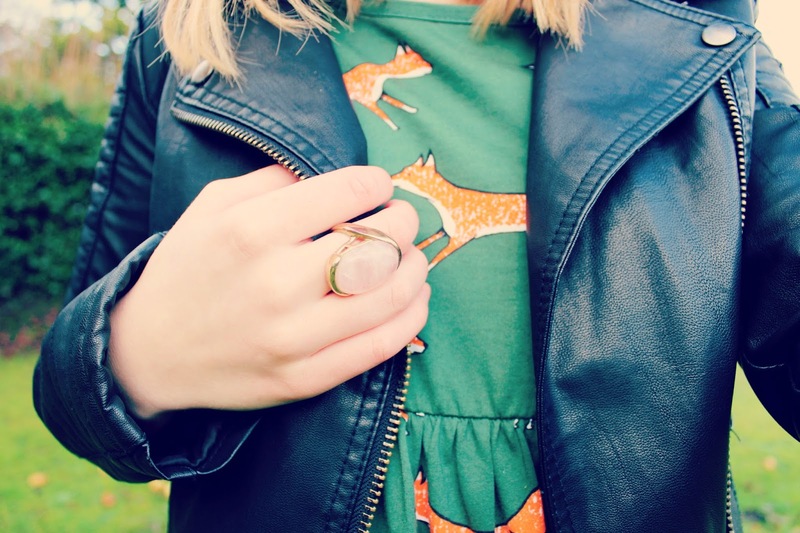 This is the outfit I wore when I went shopping in London the other day, I recently bought this Asos Fox Smock dress which I absolutely love! If you are planning on buying any of the Asos Smock Dresses, I would recommend buying at least two sizes smaller than your normal size. I am usually a UK 6, I could only get a UK 4 and it was still massive, so massive that I had to sew it in about four inches each side and it's still very roomy! 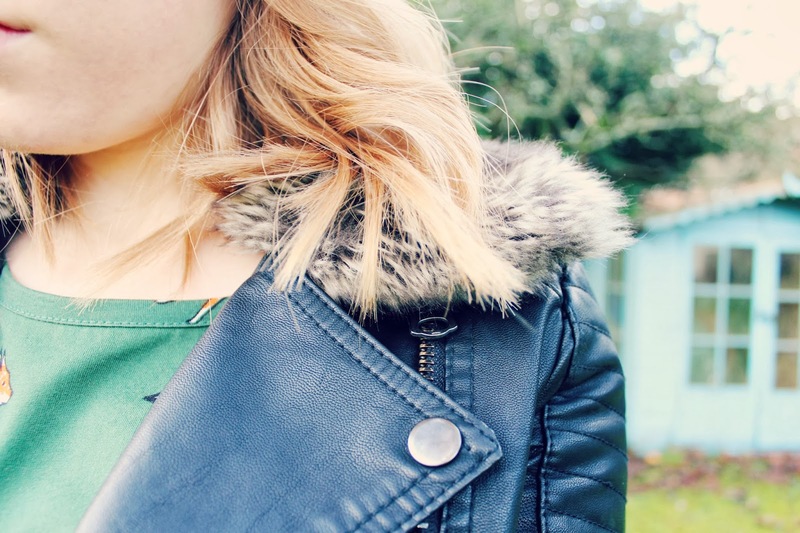 It was the first day in ages that wasn't too cold so I put on my trusty leather jacket from Topshop and my simple black Topshop Boots. As the boots have rose gold details, I wore my Michael Kors Rose Gold Watch and a cute stone ring with rose gold from Accessorize. Good advice - about buying two sizes smaller. The dress is lovely. 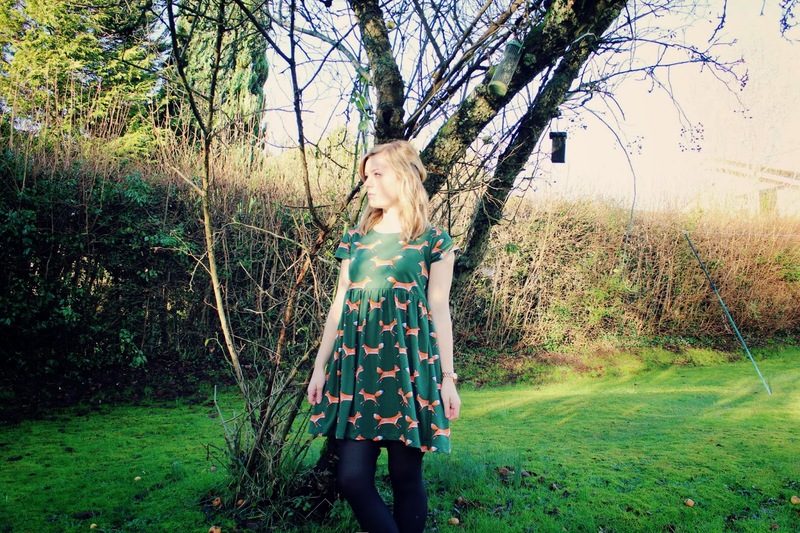 I didn't know that fox prints are in now - that's good to know too. 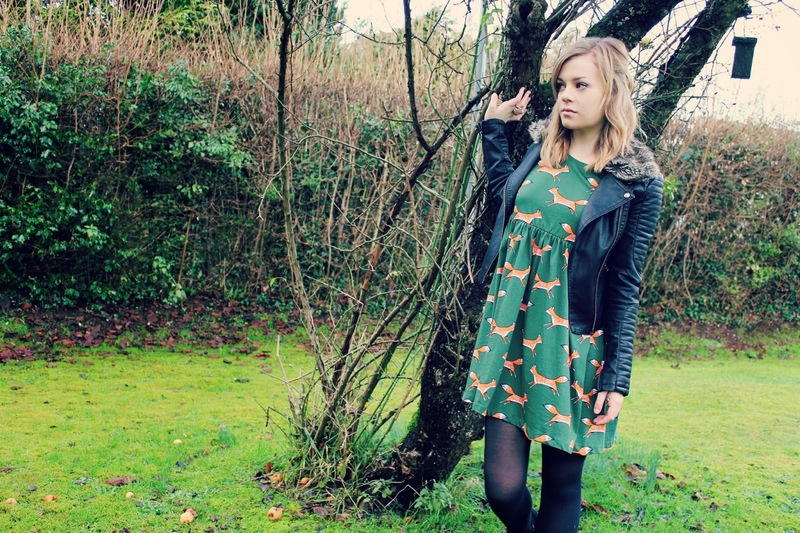 I love the fox print dress! Beautiful!